The Taurus PT111 Millennium G2 is a great carry pistol, either as an easy concealing pistol or a deep-concealment backup gun. 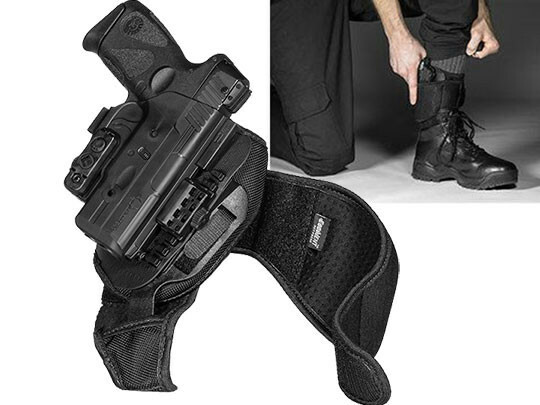 For deeper concealment or backup gun carry, you would naturally consider a Taurus PT111 ankle holster. What would keep you from carrying this way? An ankle holster for Taurus PT111 pistols that doesn't carry comfortably or securely. A lot of them leave something to be desired in some aspect or another. 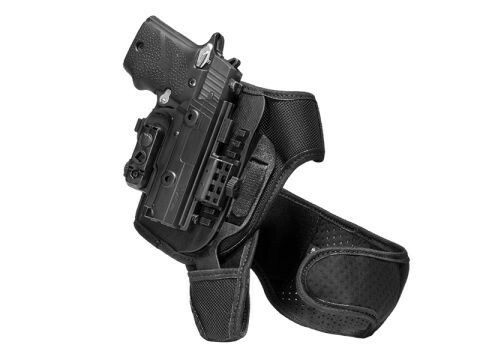 For any holster - including a Taurus PT111 G2 ankle holster - to be considered for carry, it should carry comfortably, securely and offer good fitment and retention for the firearm. That gives you the confidence to use the holster. Without confidence in the holster, you won't carry with it. We have a holster you can count on. 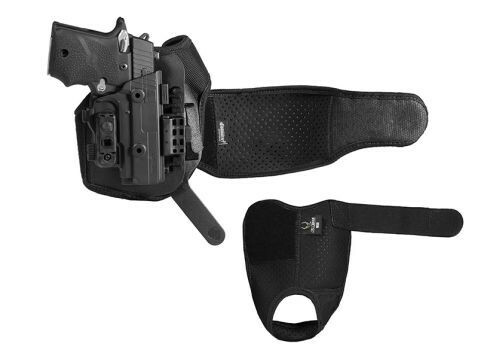 First, our Taurus PT111 ankle holster uses a two-piece strap system for greater security. 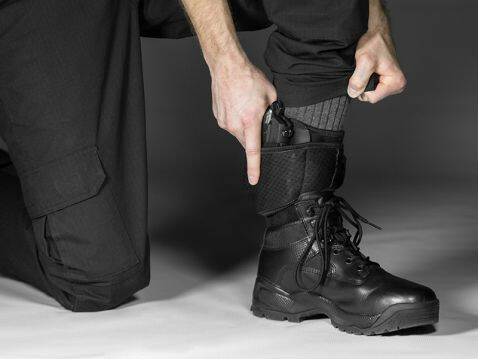 An ankle wrap, which the holster itself is attached to, attaches to a heel strap via a durable polymer insert. 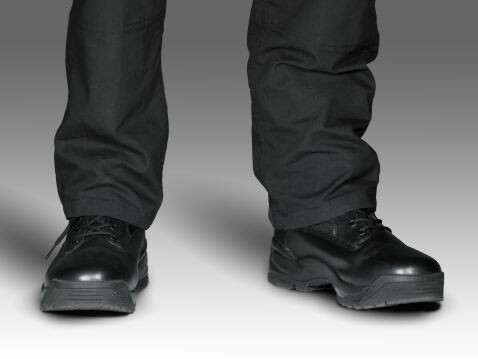 This creates vertical and horizontal support, keeping the ankle holster anchored to the lower leg. Never worry about the holster riding up and down the calf as you walk. Comfort isn't an issue either. 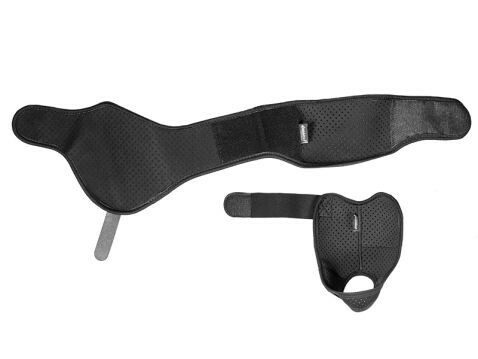 The plush neoprene strapping doesn't create hot spots or chafe with wear, and the elasticized straps can be pulled tight without cutting off circulation. 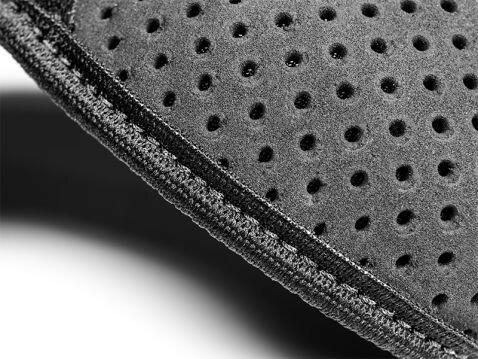 Since we use our Cool Vent perforated neoprene, you'll feel your skin breathing while you wear it and the material wicking away moisture. You won't have to worry about fitment or retention. The holster is custom-molded for the Taurus PT111 G2, so fitment is perfect out of the packaging. The trigger guard is fully wrapped for extra security, and passive retention is fully adjustable. You can also adjust the ride height for the perfect carry position. 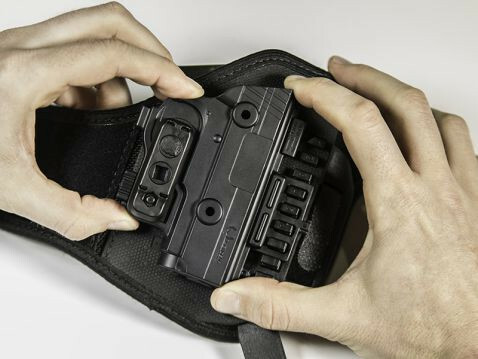 Along with these features, the Alien Gear Taurus PT111 ankle holster comes with our Iron-Clad Guarantee, including a 30 Day Test Drive trial period and a lifetime warranty. We back your holster as long as you have it, and any issue will be fixed or you'll get a brand new one. This is a shift in what is possible from an ankle holster. Schedule your test drive today!